Groups enjoy the convenience of meeting rooms, dining halls and guest rooms located under one roof, while enjoying the comfort and privacy of individual spacious guest rooms, each with a full bathroom. Every guest room is decorated with elegant and functional furnishings, and no two rooms are exactly alike. High-speed WiFi and air conditioning are available in all guest rooms and throughout the building. 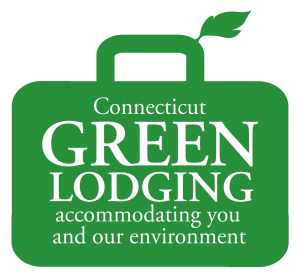 Guest House is one of the first Green Lodging facilities in Connecticut. This effort involves all of our staff members working together to ensure Guest House is as environmentally friendly as possible. At Guest House, the chef and kitchen staff strive to contribute to the nourishment of the body, soul, and spirit of each guest. Since tastes, needs, and appetites vary, each meal offers a delicious variety of choices to feed the body and support retreatants’ endeavors. Our menus focus on homemade options and are created around the procurement of seasonally available foods, and sourced as locally and organically as budgets allow. Every effort is made to support guests with dietary restrictions and allergies. We provide a guest refrigerator and microwave so guests can participate in meeting any additional needs and preferences, if necessary.